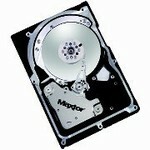 Maxtor - 8C073J0 MAXTOR - 73GB 15000RPM 8MB BUFFER 80PIN ULTRA-320 SCSI 3.5INCH ATLAS SERIES HARD DRIVE (8C073J0). IN STOCK. SHIP SAME DAY.